Works with our SF001 1/4" barb listed below left in the "Related Products" section. THIS IS IT!!! If you need to insert 1/4" barbs into 1/4" microtube BUY THIS!! We played around with this thing and everybody just wanted to keep inserting barbs into tubing. None of us will ever again try to push barbs into microtube by hand! The caveman days are over! 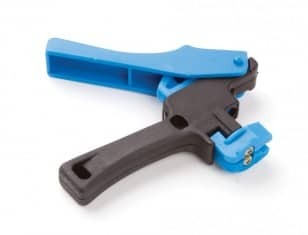 The professional barb insert clip gun tool is a heavy duty device used to insert a selection of barbed connectors and some drip emitters into 1/4" micro tubing. 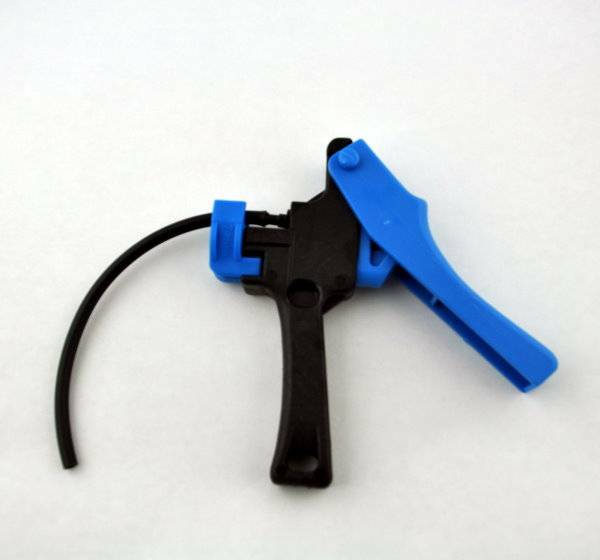 The barb insert tool features an easy to grip handle with a large gripper to hold the micro tubing. 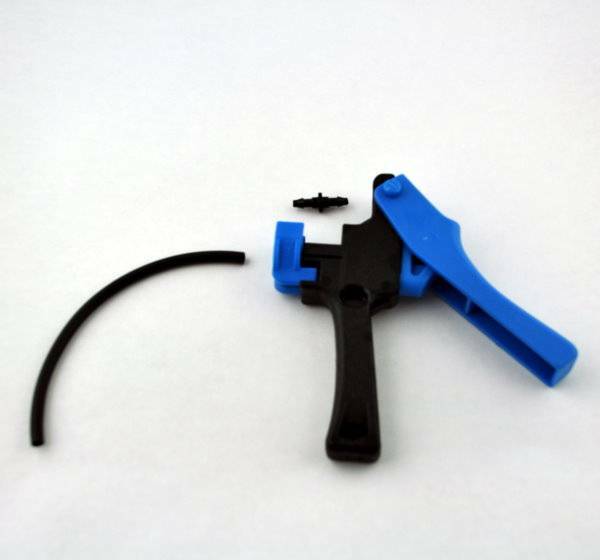 Insert the barb into the toll chamber, grip the micro tubing, and insert the barb into the micro tubing with one squeeze of the clip gun handle. Constructed of UV-resistant, high impact plastic.